I hear you like trains and poniez. Also, hope you have a safe recovery from Sandy. Were you able to export them? I'm Paul, a 19-year-old Gamer, Amateur Programmer, Railfan, Writer, Brony, and Graphic Designer from Philadelphia, PA. I'm very good with Photoshop, Dreamweaver, Sketchup, and Trainz. I've ridden trains from Philadelphia to Harrisburg, Philadelphia to NYC on the Acela Express, and on the Northeast Regional to D.C. My favorite shows are Adventure Time, My Little Pony: Friendship Is Magic, any program on NHK World, and The Big Bang Theory. My favorite games are Super Mario Galaxies 1 & 2, NSMB:Wii, Team Fortress 2, Half-Life 2, and Trainz. As for my favorite Music, I don't listen to Mainstream Music much. I listen to anything from LAPFOX Trax, Newgrounds Audio Portal, and Mashups; The only Mainstream Artists I like are Adele and Cee-Lo Green. I'm very interested in Japanese Culture, History and Language. Someday, I want to move to Japan and marry a Japanese woman, and have a job as a wealthy businessman. I'm currently Catholic, but I want to convert to Buddhism. I don't believe in that bogus Mayan Prophecy of 12/21/2012 either, because the Mayans actullay reiterated the date as the end of an era according to 2 of the 15,000 Mayan Texts; absolutely NONE of the texts notes an apocalypse. Mankind has tried to predict the end of the world hundreds of times, no one will ever get it right; It's just another dumb Y2K scare. Don't worry, you have 70+ years to live. My favorite ponies are Big Mac, Applebloom, & Daring Do! 6 Minutes to Midnight, and still working. Since I'm typing this from college, I have to keep this post short. 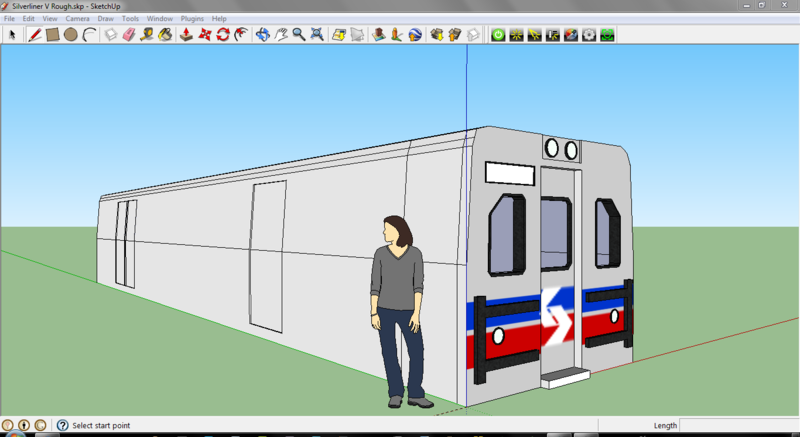 I'm working on a Silverliner V for TS2009. I'm working on the Side Textures later!